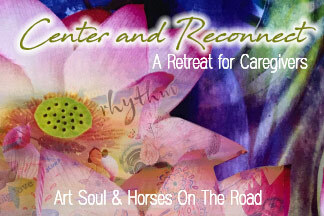 Art Soul and Horses - A sacred place for nurses to find joy and healing. 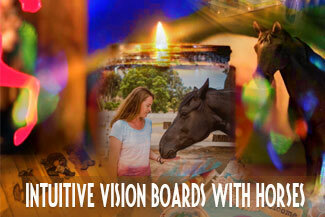 Art Soul and Horses provides nurses with a sacred space to relax and ignite their creative heart. If you are a nurse looking for a supportive, creative outlet to replenish your soul and expand your capacity for joy, we welcome you. Are you overwhelmed and emptied by your dedication to others? Are you unsure where to look for support. Have you lost sight of your bliss? At Art Soul and Horses we will.. Expand and grow your soul's potential so you can fly farther than you ever imagined. Offer you a sacred space and community that embraces and listens to your heartfelt passions. Reacquaint yourself with the art of self nurture and the powerful transformations that occur when you speak up for what you need. Having been in the nursing profession for almost two decades, I have developed a deep understanding of the healing nature of nurses, and I know that many of us came to this profession to make a positive difference in people’s lives. To heal, yes, but also to ease sorrow, to provide comfort, and to be an advocate for patients and families who are in need. Often we get so caught up in our work that we forget the advice, “Healer, heal thyself” and we allow the art of nursing to become a burden that wears us down. When we do not care for ourselves, we forget how to fly. When we do not heal ourselves, we lose our healing touch and a piece of our soul begins to die. Feel the music of the soul through horses, art and music. 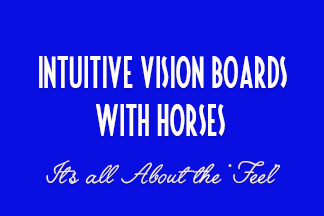 By spending time with great healing energies – of horses, art and music – we are immersed in a sea of love and compassion and our journey back to wholeness begins. 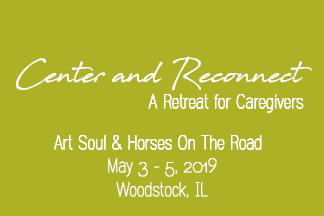 This is where we start at Art Soul and Horses: stepping away from giving to others for a while, in order to move the energy of love and compassion inward. This is the magic of horses and art. When we engage in sacred conversations with horses and joyful creation of art, we are able to connect with Spirit and we have a greater ability to re-connect with our life’s passions. By making a conscious effort to heal ourselves, to love ourselves and take time out to nurture ourselves, we can more powerfully bring the energy of love and compassion to every person we come in contact with in our daily life as nurses. A simple act of self-love and self-care can help us grow our ability to touch others with joy, and expands our healing capacity. Often, we don’t know where to look for support. We have been overwhelmed and emptied by our dedication to others. We have lost sight of our bliss. 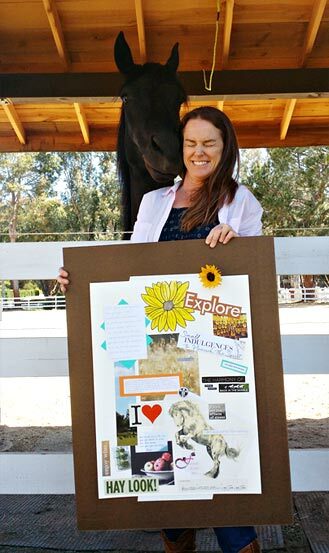 By allowing ourselves to be guided and healed by horses, and to connect with our highest self through art, we can find multiple paths to solace and renewal.